I have recently been following Team London and Panda Paws on facebook, they are an amazing group of poeple that rescue abused and abandoned dogs. 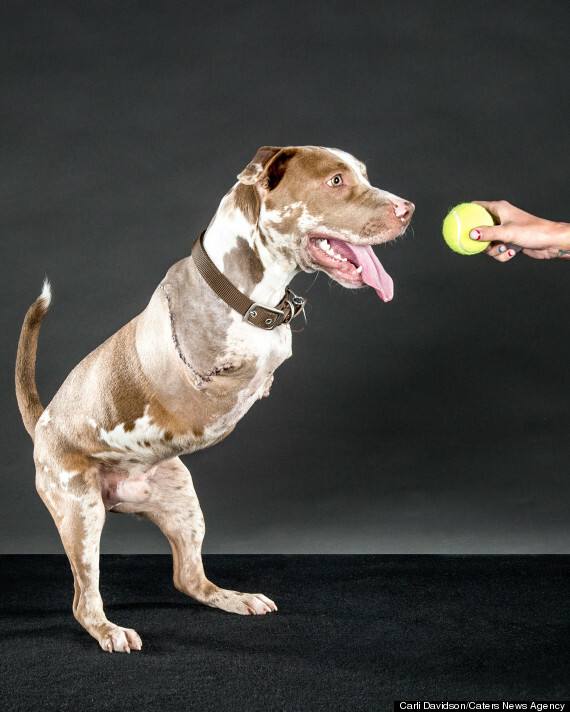 I especially developed a great love for London the abused pitbull that lost both front legs because of his original owners, and I was amazed at how many animals there are out there that have lost legs and are still active loving companions. It is very cool that they have been able to make wheel harnesses that attach to the animal so they can get around without having to drag them selves. To see a dog with such a great spirit after all he has been through is really starting to change my mind about the pit bull breed. As I stated on facebook unfortunatley I have yet to see a pit bull that I would trust due to the way they are taught by thier owners, but its great to read about all the good pit bull owners out there that are raising them to be gentle loving animals.